Over indebted, what can I do? Blacklisted, stressed, you need cash but do not know where to go? Blacklisted with bad credit and struggling to survive? Pre approved for a Personal or Blacklisted Loan, can I be 100% sure I will get the funds? 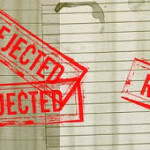 Can I Re Apply should my Blacklisted Loan be Rejected?